”It happened that on June 22, 2013, at about 6pm, one of my sisters came calling on us. I decided to carry one small bench at the front of a neighbour’s house for the visitor to sit inside our room. Immediately, Stella, our neighbour, rushed out of her room and accosted me, asking why I should carry the bench inside. The owner of the bench, on hearing our argument, came out and asked her to let us be, but she refused, instead she went inside, brought out hot water and poured on us. I reasoned that if I engage in a fight with her, it might result to some serious consequences, so, I went to the police station at Ajaromi and reported the case. Crime Alert gathered from an eye witness that after the accused poured hot water on Godwin Olah and his visiting sister, his wife went to her room to accost her on why she should treat her husband and sister in-law in such manner, a fight ensued between both women and in the process, the accused tried to drag the deceased to the stove where she was cooking to burn her, but when she discovered she could not drag Stella Godwin (the deceased) to the fire, she brought out a knife and pierced through her right arm and her heart. “Stella died as a result of the knife wound on her heart; the fight was so fierce that we all took off, returning only to see Stella Godwin lying in a pool of her blood on the corridor in front of their room,” the eye witness said. Tracing the genesis of the quarrel between his family and the suspect, the husband of the victim also said he fell out with the accused who also shared the same first name (Stella) with his deceased wife, after he prevented her from using a knife on her (the suspect) sister during a scuffle. “I have lived in this compound for 20 years now. I was here when she rented her room. We lived as good neighbours, she was best of friends with my wife. 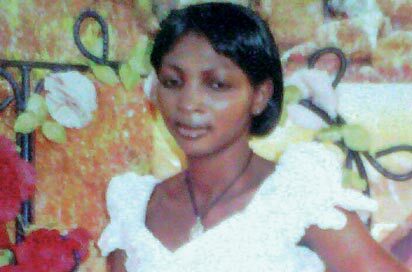 It was the day I stopped the lady from using a knife to inflict injuries on her sister during a fight that she saw me, my wife and our children as enemies, “ he stated.It was gathered that the body of the deceased has been conveyed to her home town in Obudu- Akwa-Ibom state for burial; while the accused Stella Omoigiafo Gilbert was remanded in prison custody after she was arraigned at the magistrate court in Ebute Metta. Tess, your last line Obudu, AkwaIbom State. Like seriously? If that is hw d vangaurd reported it, then journalism is dying.